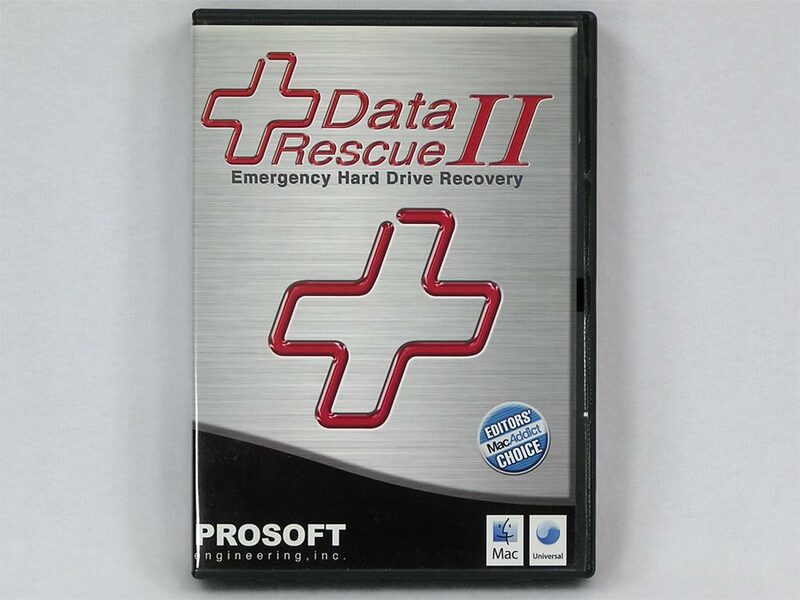 Prosoft Engineering’s Data Rescue is an easy-to-use utility to help you recover files and folders from crashed or corrupted hard disks, floppy disks, or removable cartridges. Recovered data is saved to another medium, leaving the original disk untouched. A destination drive that you will recover your files to. This can be any mountable drive or network volume with suitable capacity to accommodate all your recovered data. Network functions are not available while booted from the Data Rescue Emergency Boot CD however. 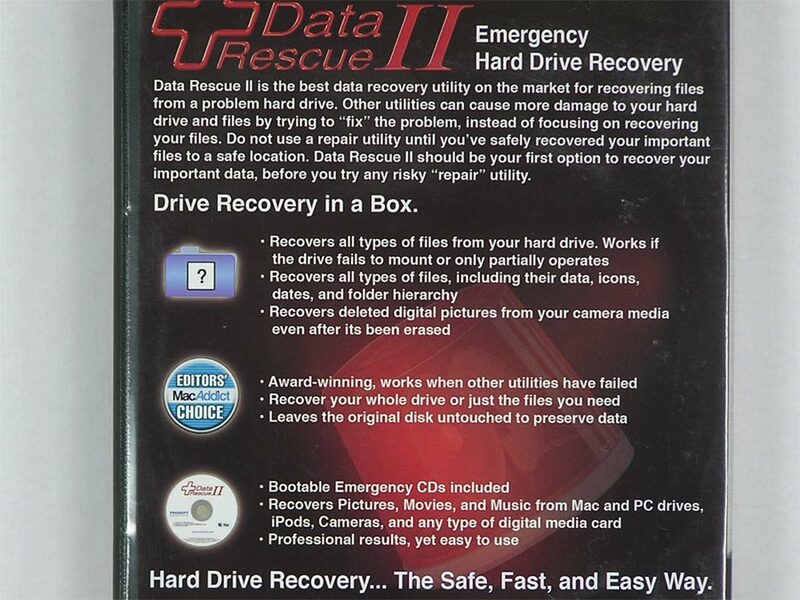 A drive to use for the program’s temporary working storage. This can be the same drive as the destination drive. Temporary storage needs may be on the order of 2% the size of the drive being scanned. Network volumes and Zip drives are not recommended for temporary storage, because they are far too slow for this. Box contains two bootable CD's - one for Power PC Macs and one for Intel Macs.